Clu previews the Southern bracket of the NCAA Mens Division One National Championship Tournament, aka March Madness! Who’s he going to pick? We have our 3rd “first four” play-in game. This one features Mississippi Valley State and I am going to go out on a limb and pick Mississippi Valley State to earn the #16 seed just because Jerry Rice played there. Now on to Kentucky, where once again coach John Calipari and company are favored to be the ones cutting down the nets in New Orleans come the end of the month. The Wildcats are extremely balanced, ranking top 10 in many offensive and defensive categories, but they do lack experience (what else is new? They are notorious for one-and-done players). 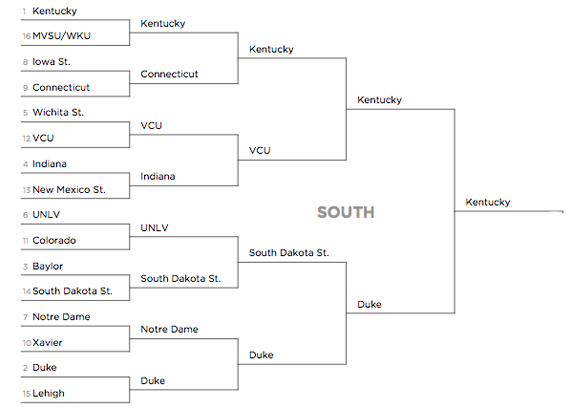 That being said, I am certain that Kentucky will be moving one step closer to New Orleans. Remember, around this time last year, when UCONN went on that magical run with Kemba Walker carrying the team on his back? Is there any chance that will happen again this year? After what I saw from them against Syracuse in the Big East Tournament, I’d say probably not. This team is very three-point shot happy, and turnover prone. Een though they have talent in Jeremy Lamb, Shabazz Napier and Andrew Drummond, they lack the experience and, in reality, are lucky to even be in the tournament right now. They might squeeze out one win, but to see another magical run? Highly unlikely. Iowa State has some talent, so they will be showing off their muscle in this game. They don’t have a great post defense, but hey, when you have ability to consistently shoot from outside the arc and drain long range shots, you are far from a pushover. Watch out for Royce White, who has compiled 8 double-doubles this the season and knows how to pass the ball (5.1 assists per game) too. This should be one of the better matchups of the first round to not feature a top seeded team. Wichita State is versatile and well-coached. 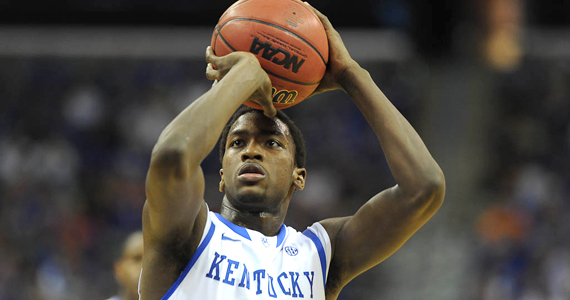 Its best players are Joe Ragland (13.4 ppg, 3.4 assists per game) and 7-footer Garret Stutz (13.5 ppg, 8.0 rpg). Meanwhile, the Rams are back again after their amazing run to last year’s Final Four. Just like last season, you can clearly see their strength on defense (they rank first in the nation in steals), and they still have their crazy head coach, Shaka Smart. Their offense has struggled at times (first in the nation in turnovers), but seems to have found it’s stroke since February. This should be a great matchup! Indiana is definitly one of the biggest surprises of the year. It has been a while since we’ve seen the Hoosiers have any significance in the basketball world (since the days of Bobby Knight and recovering from those NCAA infractions), but big wins against Kentucky and Ohio St. have put the them back in the national spotlight. 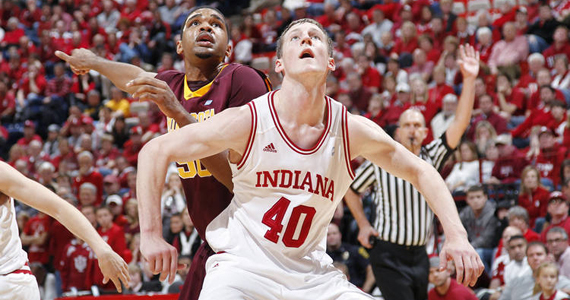 IU is led by Freshman Cody Zeller, who averages 15.5 points and 6.4 rebounds per game. The Aggies of New Mexico State are dancing for the third time since 2007, and have a very dangerous team this season. They are agressive, which is one reason why they get 26% of their points from the free throw line. They also know how to play some D, so watch out because they could end up with an early upset win. This is one of the better Rebels teams that I have seen in a quite some time. Coach Dave Rice has them playing unselfish, up-tempo basketball, led by Forward Mike Moser. Moser, a Sophomore, averages a double-double per game (14.1 ppg, 10.6 rpg). Watch out for these Runnin’ Rebels. In their first year in the PAC-12 the Colorado managed to come in and steal an automatic bid, mainly due to their defense (ranked in the top 50 in the nation). Andre Robinson, who averages almost as many rebounds per game as he does points (11.6ppg/11.1 rpg), leads a very strong rebounding corps. This might be a tighly contested matchup, but with UNLV’s ability to shoot the outside shot the odds are stacked against the Buffs. As I said in my Bracket Science posts, this matchup definitly falls under the category of… IT’S A TRAP! Here’s why: first off, Baylor had a fantastic season, ranking in the top 35 in many categories and staying close to the top of the NCAA rankings for almost the entire year. However, they play terrible in big time games. Just look at their losses to Missouri and Kansas! Meanwhile, South Dakota St. is one of those teams who is easily capable of being this year’s cinderella team. They do not make many mistakes and are down right dangerous from outside the arc. Oh and remember that guy I mentioned before in my roadtrip posts, Junior Guard Nate Wolters? He’s being hyped as the next Jimmer Fredette, and rightfully so. He’s averaging 21.6ppg and 6 assists per game. Watch out for South Dakota State everyone. Notre Dame (or Notre Lame as Jobu likes to call them) was definitly one of the bigger surprises of the Big East this year. On the same coin, they were also one of the conference’s biggest disappointments because of their record, and the way they managed games towards the end of the season. The Irish lack a strong interior presence. This puts a lot of pressure on their primary perimeter threat Jack Cooley. Cooley needs to flash that ability to hit the three (32.9% on the year), or this team won’t have much of a chance. Xavier, meanwhile, was supposed to be one of the more dominant teams this year, until they started brawling with city-rival Cinci back in Early December. Their three standouts (Tu Halloway, Mark Lyons and Kenny Frease) will need to step it up if this team wants to make a run to the Sweet 16 or deeper. This season Duke seemed to become trigger happy from three-point land, as 39% of their shot attempts came from beyond the arc. They have good reason to, as their trio of shooters (Austin Rivers, Seth Curry and Andrew Dawkins) are shooting over 40% from 3 point range. Duke is always a contender for the final four and national title, but this year it all comes down to their interior defense (surprisingly, they are only ranked 63rd in the nation). If they cant find their shots from the outside, it could be a long night for the Blue Devils. Lehigh, on the other hand, comes out of the Patriot League, and they haven’t beaten a quality opponent in any of their 26 victories! I mean c’mon! At least find a way to play one decent team for the year…Boise State does it! The Hawks lack size, but they thrive on taking shots from three-point range. Add in their low turnover rate and high free-throw % and it could lead to an interesting matchup against Duke. It might be a high scoring affair. Prediction: VCU makes a return trip to the sweet 16. Prediction: The Jackrabbits must have their lucky rabbits foot in some glass slippers, they’re heading to the sweet 16!